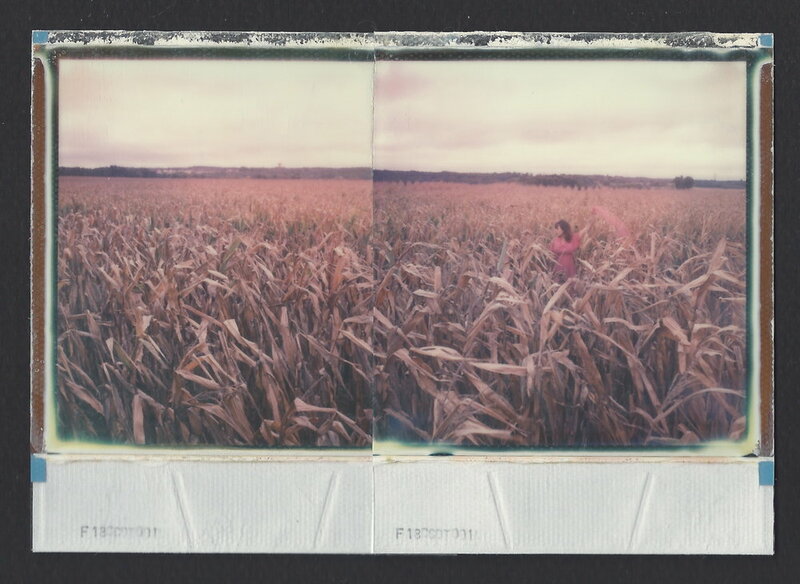 Sarah Seené is a french analog photographer based in Montreal, working with 35mm and instant photography. In the darkroom, she hand-processes and hand-prints her images. Sarah's world is composed of a strange atmospheres, something existing between dreams and poetry, tinted with hints of a lost childhood. 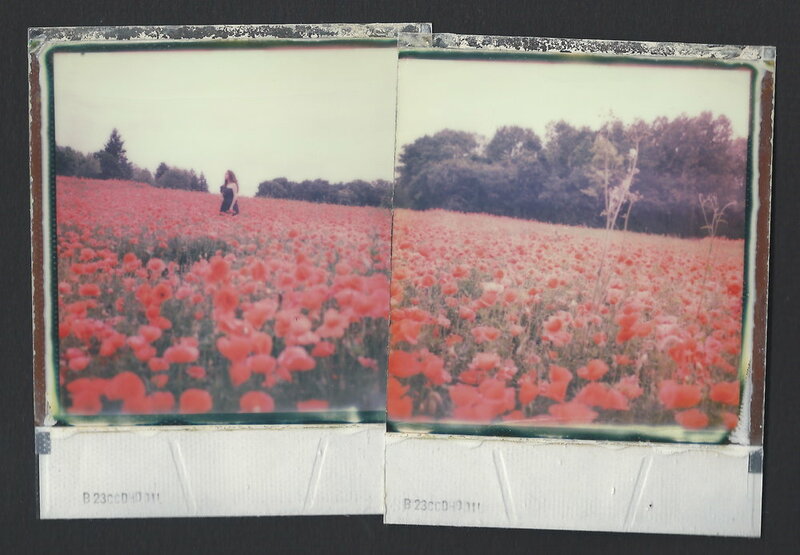 Her images are filled with loneliness and longing, seemingly to be suspended in time. For the viewer, that is especially true. We are drawn into Sarah's world. We slow down to take in the many nuances present in her photos, to savor her use of color, composition and theme, and for a moment, we forget everything else, preferring to remain in this dream world, where we lose and find ourselves simultaneously. 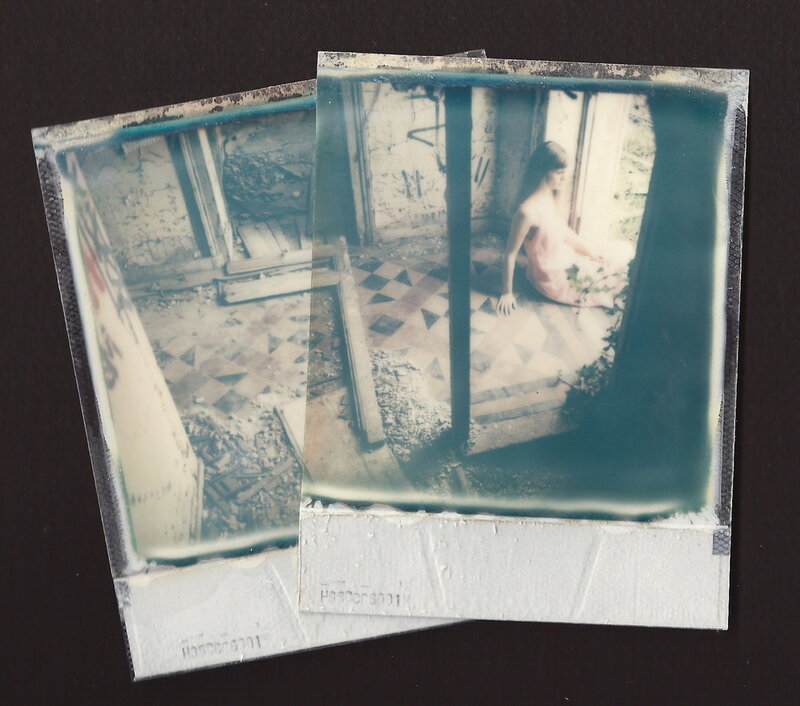 In the series "Incontrôlables Poésies," the sense of abandonment and solitude is palpable as we take in the once-inhabited spaces where Sarah dared to venture. 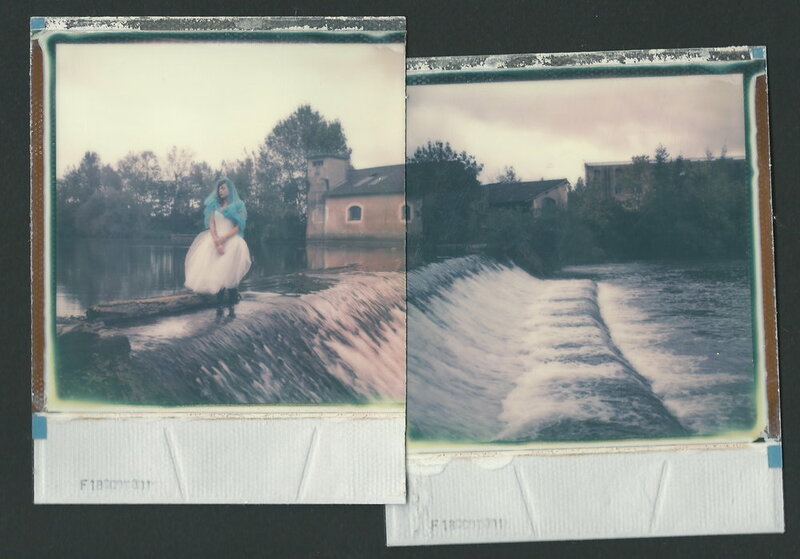 This series, created with the financial support of Bourse de la Région Poitou-Charentes in France, gathers 65 unique color Polaroids in the form of multiple puzzles. It brings light to the poetic spaces of abandoned buildings in France, where time does its work and where nature is taking back its rights. Since couple of years, the interest in abandoned places gave birth to the Urban Exploration movement (called ''Urbex''). My process exceeds the idea of the photography as a witness. It tries to put back pieces of a etiolated past in which I can make my own projection. 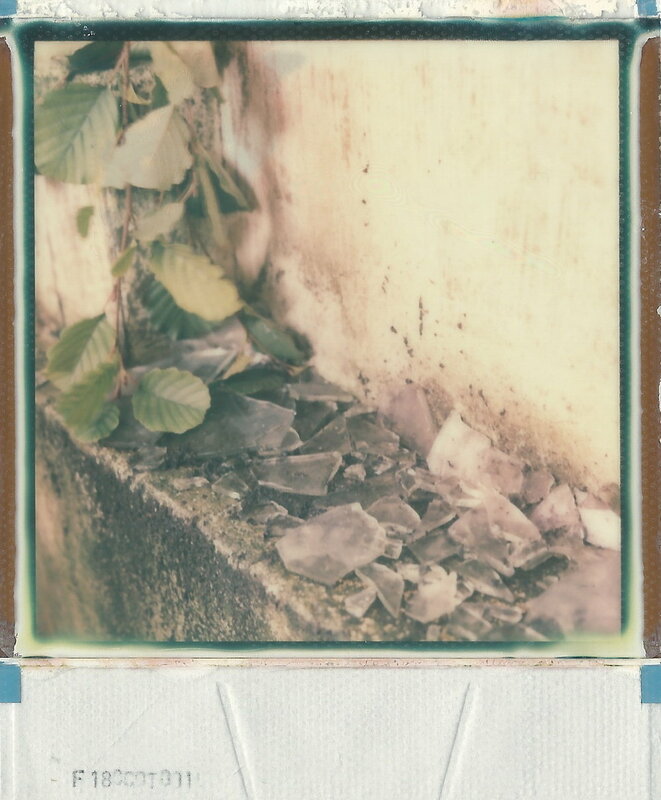 Polaroid, unstable medium with its ephemeral elements, its small format and its price, response to the time's lack of control on the environment and the human life. 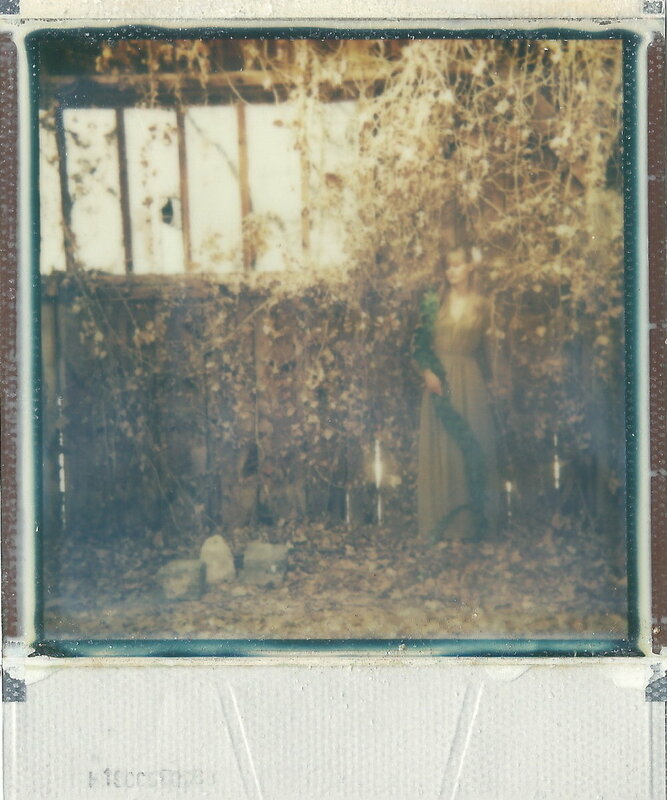 In almost all photographies, wandering characters crystallize the poetry of abandonment. Disappearance of objects, ghosts of an ancient time in those spaces which use to be related to work, entertainment or intimacy. In these vestiges of the past, I wanted to imagine their traces to give them back life. Sarah's work has been shown in about 30 exhibitions, solo and collective, in Paris, Berlin, Prague, Milan, Amsterdam, London, Montreal and New-York. It's been published in a lot of international magazines and webzines. 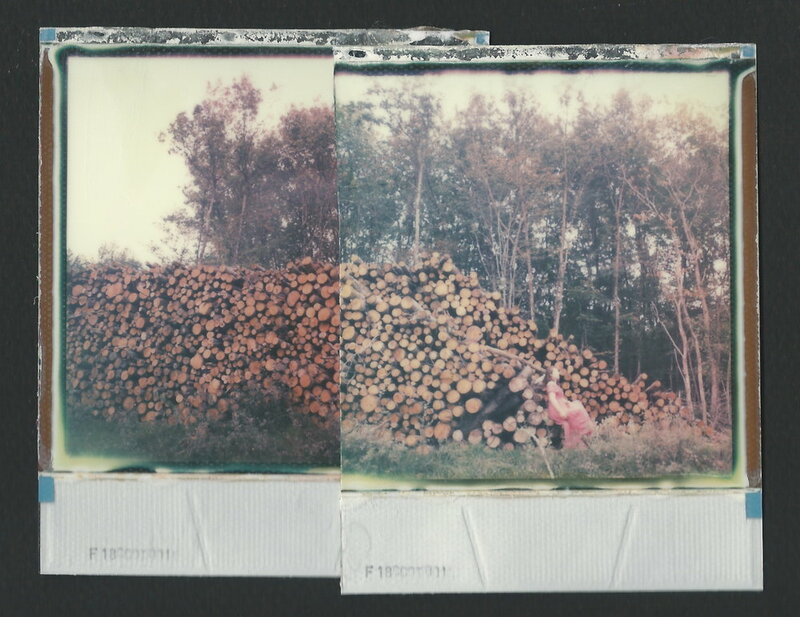 She's part of The 12.12 project and World Wide Women, two international collectives of women analog photographers. She's the co-founder of a long distance collaboration project called I'll be your mirror, with the american photographer Sarah Elise Abramson. You can see more of Sarah Seené's work on her website and on Instagram. 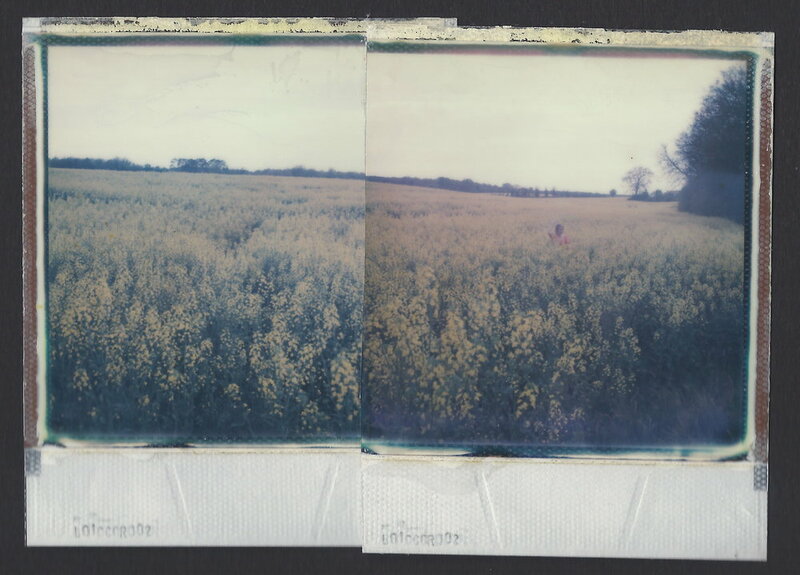 We recently has the singular pleasure of speaking with Sarah Seené about her series "Incontrôlables Poésies." PRYME: Can you tell me about your history with photography? 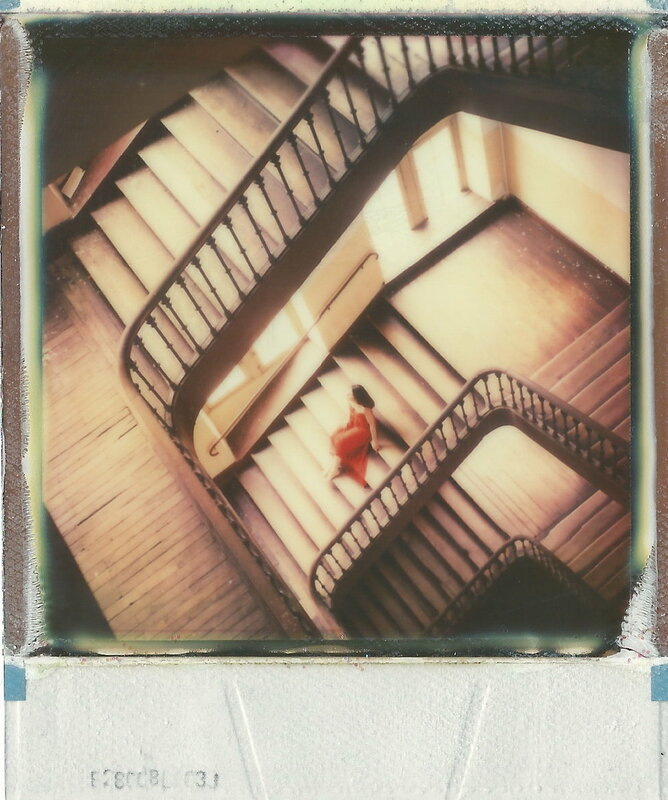 When did you start shooting, what medium did you start with, how long have you been shooting instant photos, etc? Do you have any special training or education in photography or are you self-taught? SS: When I was a child, I was taking a lot [of photos] with disposable cameras. When I think about my pictures, I was already composing my sets. 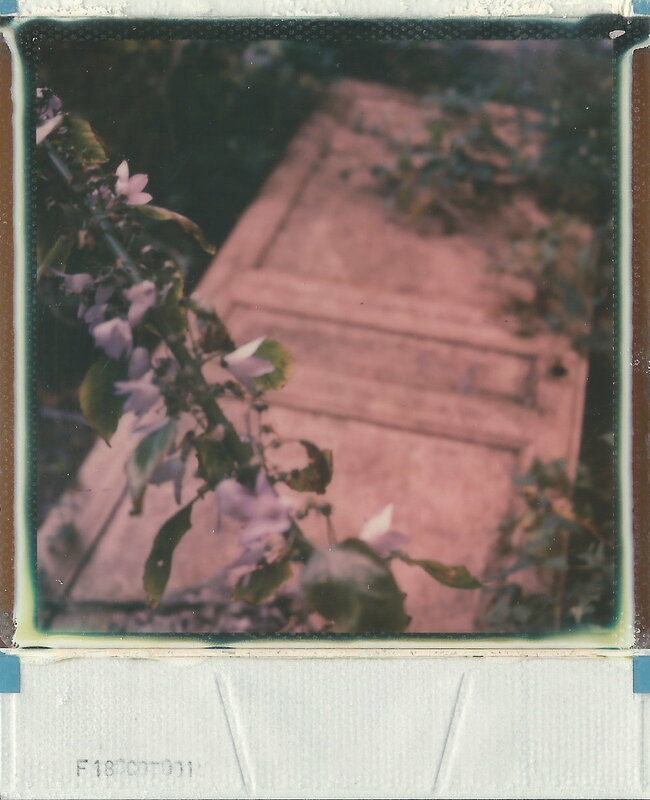 When I was 17, my mother asked me if I wanted to do any artistic activities, and I choose analog photography. So I studied photography when I was a teenager after school, just because it was a great activity, but after high school, I learned Literature and Cinema at the University. PRYME: Do you have a degree or diploma at the university level? Is photography/film-making your primary job? SS: I don't have any photography diploma. The internet was my way to be connected on the different platforms where I was showing my pictures. 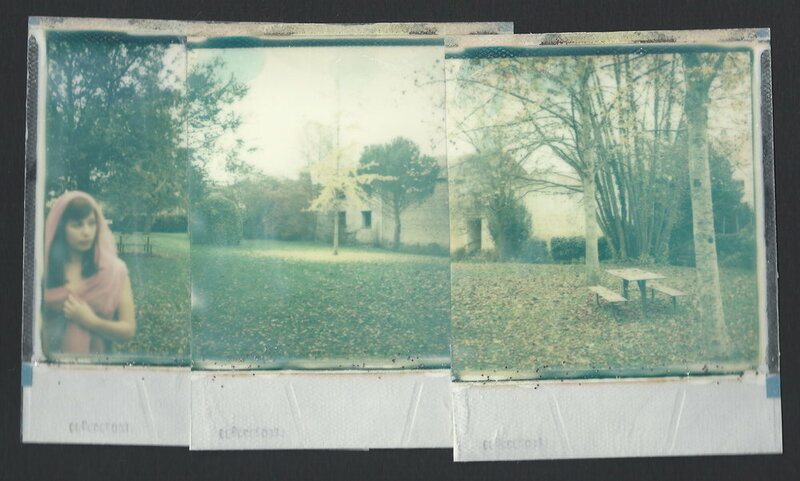 Five years ago, people started to ask me to exhibit my Polaroids or to publish them in paper or web magazines. Now, photography is my primary job. I take digital pictures as a freelancer (dance or theater pictures for example), but of course I prefer to work with analog photography for bands or singers, for backstage sessions or photoshoots. PRYME: How did the idea for Incontrôlables Poésies arise? Was it something you conceived of and then approached the Region of Poitou-Charentes about making the project, or did they contact you? SS: The Region of Poitou-Charentes (in the west of France) was proposing a call for artists to win a grant to create an artistic project to valorize the region. At this time, I was discovering urban exploration (Urbex) and I was fascinated by abandoned places. I applied and I got the grant, so this is how ''Incontrôlables poésies'' was born. PRYME: When was this series done and over how many months/years did you work on it? SS: This series has been created during a period of one year, between 2014 and 2015. It was finished in October 2015, and it was celebrated in a beautiful exhibition in the incredible Le Mouton Noir Gallery in Poitiers, France. PRYME: What was it like for you to enter these abandoned places? SS: I'm a very sensitive person. I can feel the energy of a place (positive or negative). When you get in this kind of place, it's very strange. A mix between anxiety and joy. For me, the most important thing to keep in mind while shooting in abandoned places is respect. If the door is closed, I don't break in. I just enter if I can. PRYME: Were you alone when you took the photos or did you have someone accompany you? SS: One of the rules is not to be alone. I went alone once though, in La Rochelle. I was in the city for a singer's photoshoot but I knew there were abandoned places in this city, so I wanted to explore them. I found an abandoned factory, and I got in through the broken window to go in a chaotic scene, into an office where all the wire wool was falling off the ceiling. 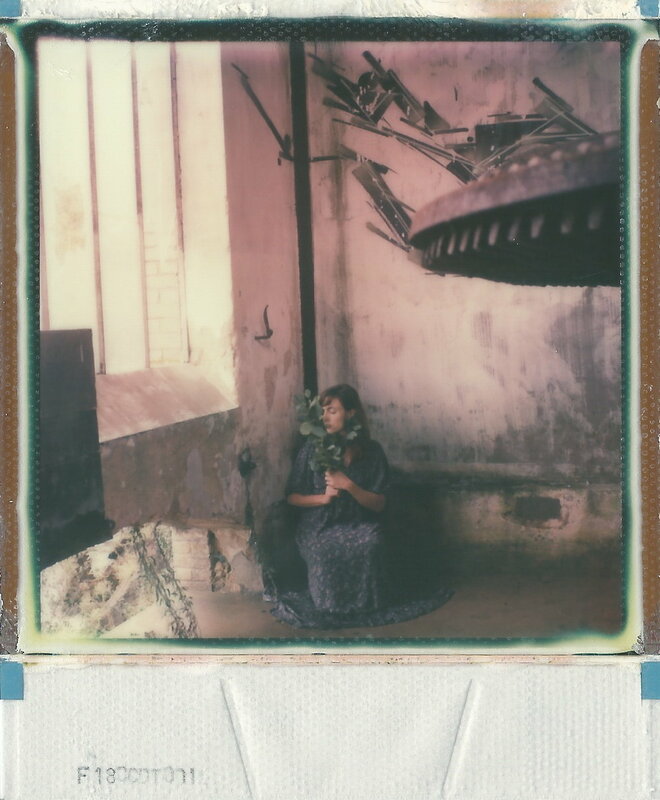 It was incredibly and naturally beautiful, so I wanted to make a fast self-portrait with my Polaroid, my tripod and my self-timer. Also, I wanted to change my clothes. I had a beautiful black dress in my backpack, just in case. So it was incredibly dangerous to change my clothes in this room which was dirty and where someone could come in at anytime. Anyway, I did it in a few minutes, and I took 2 pictures before leaving. But it's a bit crazy and it's not recommended. PRYME: Can you describe anything you experienced which may have influenced your photography or how you decided to capture the decay/abandonment around you? SS: What influenced me to make this series was my first Urbex with a few photographer friends (Lucile Le Doze, Fred Vinolas, Cedric Nicolas, Emmanuel Perret, and Michael Meniane, nldr) in an abandoned fun fair in Berlin (Germany). It was one of my more intense experiences in photography. The adrenaline I felt was incredible and this type of decor was making sense to me. Of course, it's really interesting to see the effects of time and at the same time nature taking control, but it's more than that. I think it's a correlation with the abandonment and loneliness, which are a big part of my artist statement and of my life. It's really incredible to imagine traces of people' past. PRYME: After completing the series, have you since gone back to visit these same places, to see if the marks of time are even more profound? SS: Sometimes, I come back to a few places, and I find new traces of people like me. But most of the time, these types of places are being vandalized or used for drug traffic. One or two times, I've seen trees growing out of a house after some time had passed. PRYME: Has the experience of making this series had any lasting effects on your photography in general? Do you approach or see things differently as a result of this project? What kind of film and camera(s) did you use to capture this series? 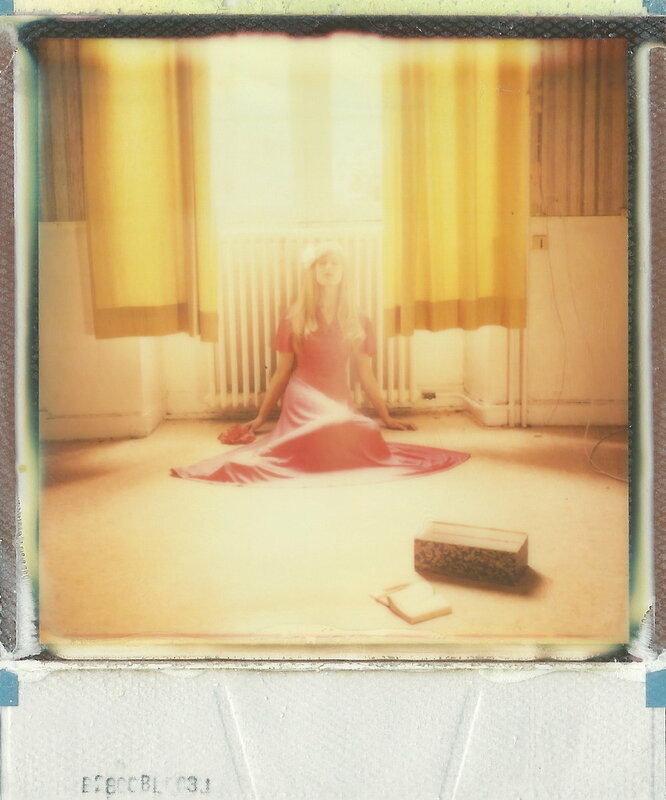 SS: This series was shot with a Polaroid SX-70 camera and Impossible films. It's one of my favourite series, more accomplished and effective. For the first time, my sets are minimalist because abandoned places are naturally incredible. The colors and textures on the walls, the vegetation growing on the objects, the light between the holes of the window are extraordinary beautiful and singular. But it was important for me to invent stories with some characters in my pictures. My friends were my models, so we lived crazy adventures together and while creating some strange fairytales at the same time. Many thanks to Sarah Seené for taking the time to speak with us and share her incredible work.